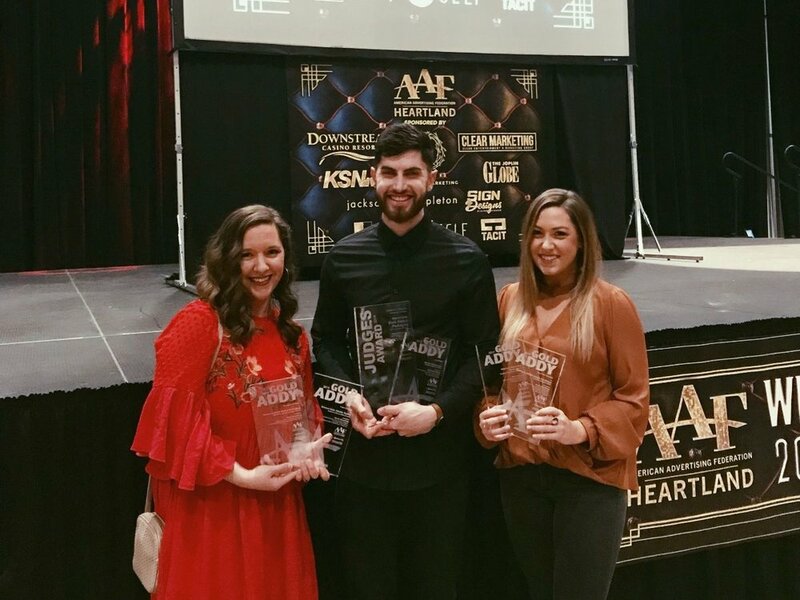 On February 23, 2019, advertising professionals gathered at Downstream Casino Resort for one the industry’s largest creative competitions. According to American Advertising Federation’s official website, the mission of the American Advertising Awards is to recognize and reward the creative spirit of excellence in advertising. Revel Advertising was one of 33 agencies & individuals in the Heartland region to submit entries to the competition. Submission categories included sales and marketing, print advertising, out-of-home and ambient media, online/interactive, video and sound, cross platform and elements of advertising. The Revel team walked away with a total of 11 awards: five Silver, five Gold and one Judges Award. Revel looks forward to working with current and new clients in 2019 to create even more gold worthy projects!